If you want to know how Beats by Dr. Dre became a household name, go back to 2012. That was the year headphones went from "boring useful thing" to "indispensable fashion accessory," fueling a holiday sales explosion for Dre's Beats brand and many other purveyors of cool-looking headphones. Apple confirmed Wednesday that it's buying Jimmy Iovine and Dr. Dre's Beats business for $3 billion. It's thought that the move may be a music-streaming play on the company's part, or a way for Apple to tap the business savvy and music industry connections of Dre and Iovine. But whatever the case, it's hard to imagine the massive sale would have ever come without the initial rise of the entire headphones industry. 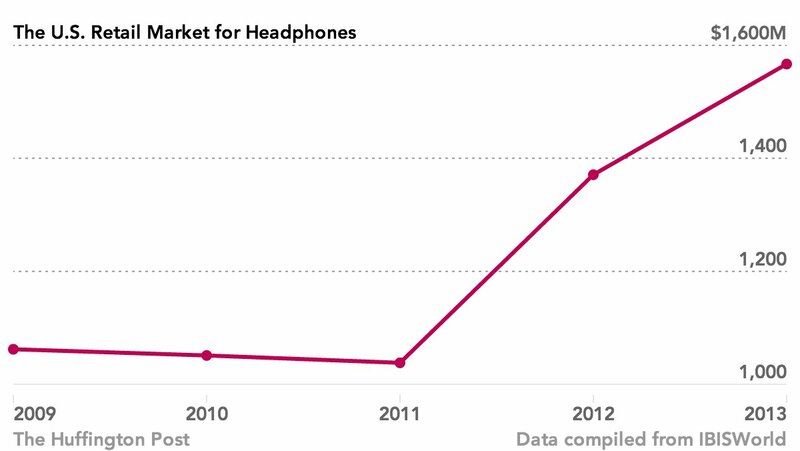 There's no one reason headphones took off in 2012. It was more like a remarkable concurrence of tech events: The smartphone wars were in full swing as the iPhone 5 launched against Samsung's supposed iPhone killer, the Galaxy S3. Sweden-based streaming music service Spotify, which entered the U.S. in 2011, had gained a foothold. Beats' star-powered marketing struck a chord with shoppers. Fashion and tech began to meld. And more people were buying smartphones and listening to music on them, and they didn't want to look like white-earbud-wearing automatons. Trumpeted as a hot fashion trend, headphone brands like Beats and Skullcandy leapt into the limelight, leading to skyrocketing revenue numbers. Previously, headphones were widely seen as a utilitarian object for music listening, except among audiophiles willing to dish out hundreds on high-end headphones from old-guard brands like Sennheiser. "The newest fashion accessory isn't a fashion accessory at all," GQ declared in mid-2011, setting the stage. "It's head-swaddling, high-style headphones that make as much of a statement as anything else you're wearing." 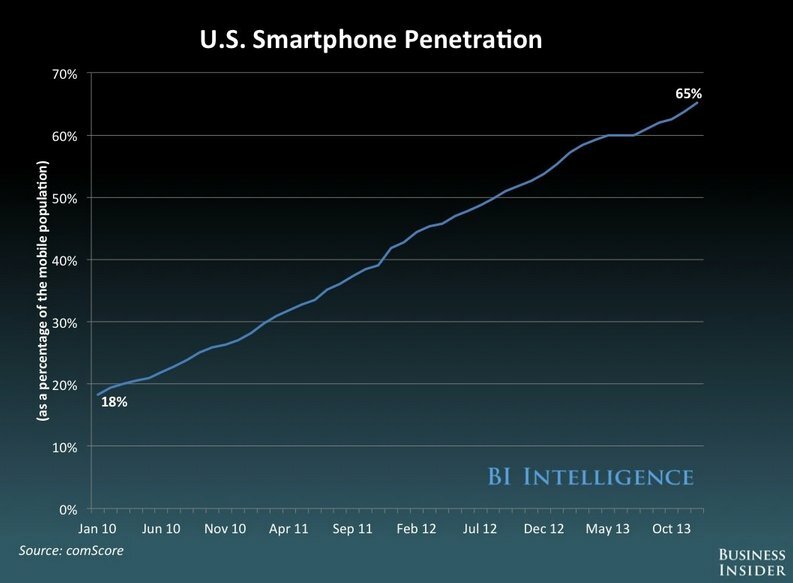 It all led to a 32 percent spike in retail headphone industry revenue in 2012, lifting the market to $1.37 billion. Beats saw its revenues snowball 75 percent to $519 million, according to The Financial Times. The retail headphones industry has experienced 8.4 percent annual growth over the past five years, and is now a $1.6 billion market, according to an April report from the market research firm IBISWorld. "Headphones are really desirable to have, almost becoming essential in terms of the accessory you want when you have a smartphone or tablet," said James Crompton, an industry analyst at IBISWorld. Headphones have benefited from improvements in design and engineering. Today, lower-cost headphones give consumers a lot more than they used to. No longer do people have to settle for simple little earbuds adorned with fuzzy covers that crackle and die within a few weeks. Now, even the cheaper models are packed full of glitzy features like rubber gel pads, built-in microphones and adjustable cords. It also helps that where manufacturers were once limited to selling in local electronics stores, now they can get their wares to the masses more easily, with online shops, big retailers and kiosks everywhere. Crompton pointed to airport vending machines like Best Buy's, which offer headphones at a time travelers need them most. The health and exercise craze has helped too, he said, as people often don earbuds and bring phones along for their workouts. Despite the emergence of big, bulky over-the-head models as fashion accessories, IBISWorld predicts that earbuds will be the industry's future. 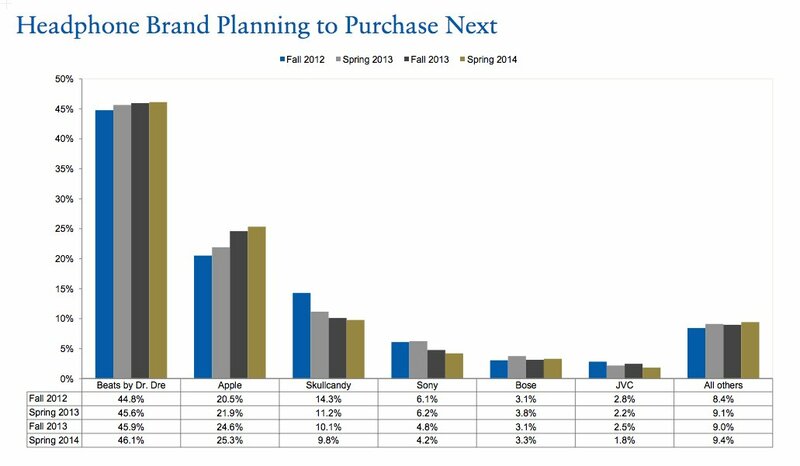 They currently account for about 54 percent of the retail headphone industry's revenue. 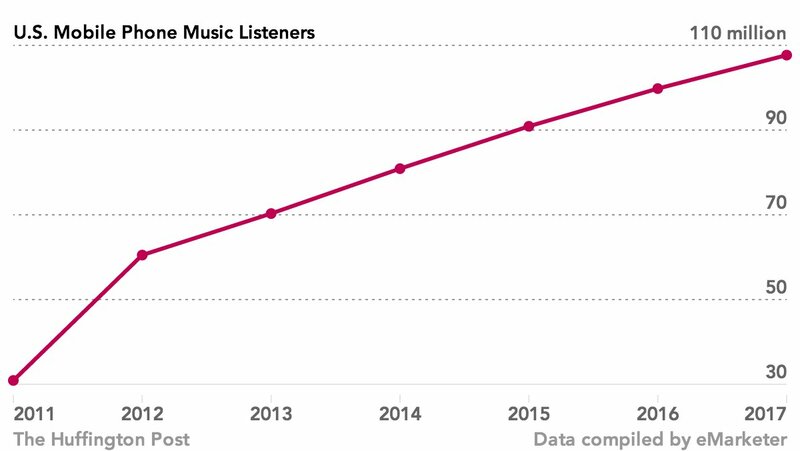 More and more, these smartphone owners are using their phones to listen to music. More than half of headphone owners connected to a smartphone in 2013, up from 36 percent the year before, according to market research from the NPD Group. And market research firm eMarketer found that around 70 million Americans used music streaming services like Spotify and Pandora or listened to downloaded music on their phones in 2013 -- more than double the number who did so in 2011. And teens, hands perpetually affixed to their mobile devices, have remained very interested in fashionable headphones. 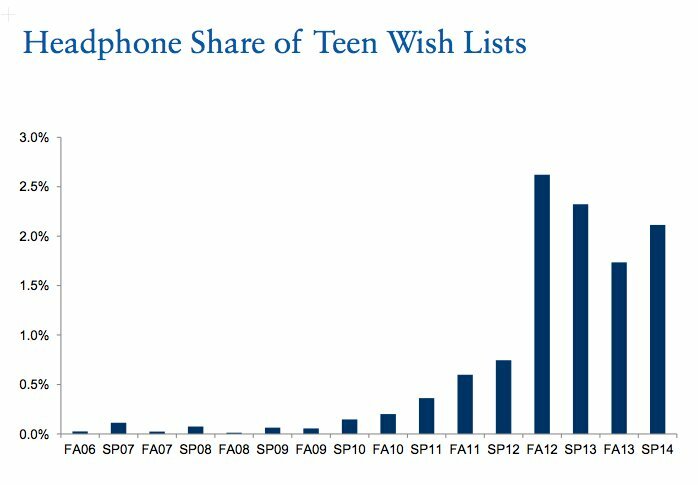 As seen on this chart from the asset management firm Piper Jaffray, after headphone sales took off in 2012, teens have continued to demand them every holiday season since. There's a lot to be happy about if you're a headphone-maker, but at the same time, the buying frenzy of a few years ago is already a thing of the past. IBISWorld predicts just 0.8 percent annual growth in industry revenue from 2014 to 2019. With Beats aligned with Apple and industry growth slowing, legacy headphone brands like Sony and Bose are primed for a death match to claim whatever customers are left.